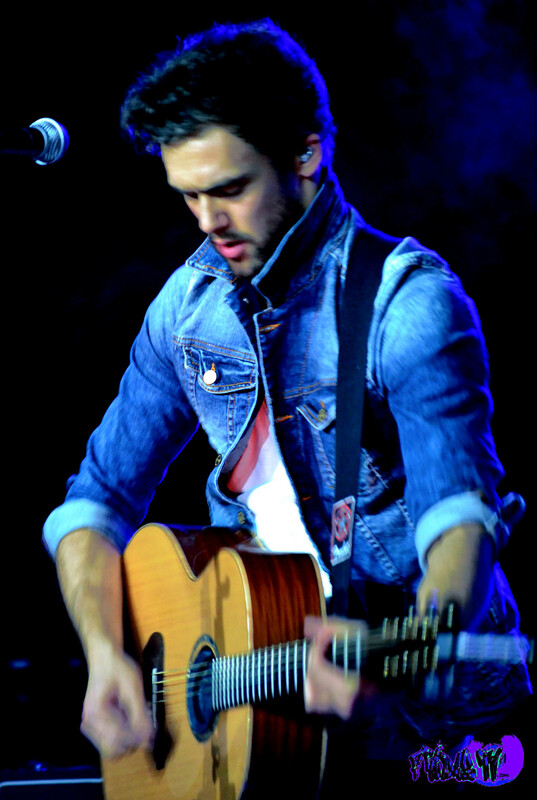 Saturday February 2nd I checked out UK band Lawson who were here in Toronto for the first time to play the Virgin Mobile Mod club with Toronto’s own Neverest warming up the stage with an acoustic set. No idea who they were until I was told about them and I do recall hearing their name before but I have not had the time to listen to any of their music. If it wasn’t for Neverest opening, I would not have requested the show and unfortunately I was given the wrong set times missing Neverest’s set. I was annoyed but there will be other gigs of theirs to cover and who knows maybe a new interview! On with the show! 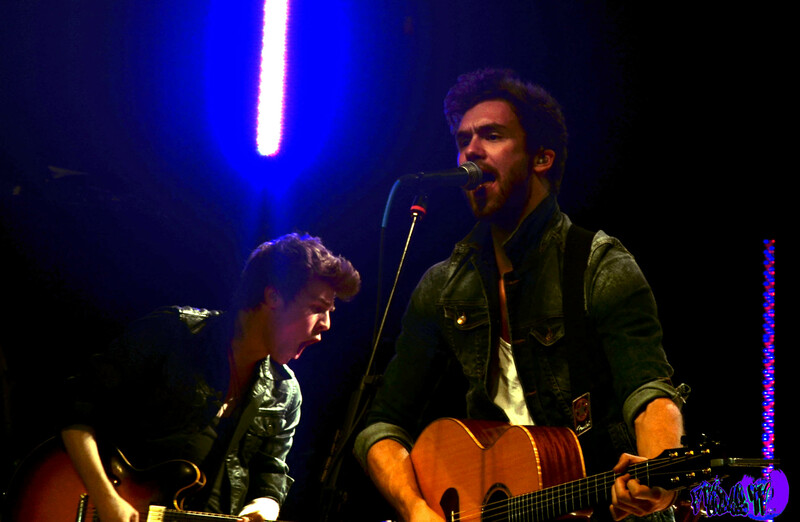 I had no idea Lawson already had a following of fans, teenage girls that is! Well, there were a few males here and there but they were rare. The bartender thought I was one of the teenage girls, she didn’t believe I was old enough to drink and refused to serve me a beer until I showed her my ID! Right now it’s 4:20 am, I’m rewriting this review because the snow storm knocked out the power and the original did not save. It was not a sold out show but there were more than enough shrill screams to last a lifetime. I could not get anywhere near the front of the stage or the right corner (stage left) where I usually shoot from at this venue. 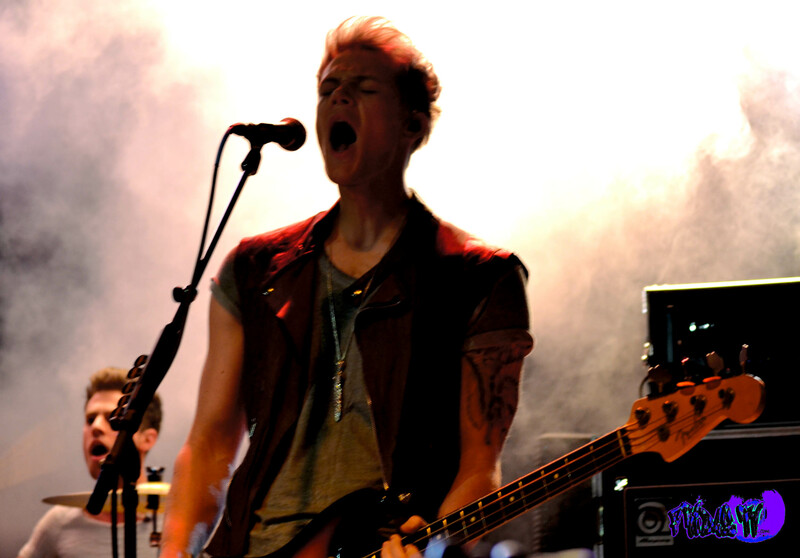 As I scoped out the venue for a good area to capture some stills I thought about how hostile some fans are. One adventure in NYC I will never forget, I was smoking and jibbering with a friend outside of the hotel where many industry folk were shacked up. After my friend migrated to do an interview, a plump female removed herself from behind the barricade and came up to me just to say, “If you get in the way of me getting an autograph or photo of anyone again I will kill you.” Yeah…Pretty special moment but that is not the scariest teenie encounter! Don’t get me wrong, not all fans are psycho, I have met some amazingly beautiful people, it’s just that from my personal experiences the crazies outnumber the normals. A lot of these girls were no different, they wanted to get as close to the Larries of Lawson as they could and nobody was about to get in their way, including me! Thank you to the Woman who attempted to help me get to the front but it was a lost cause, I was already getting dirty looks for taking up arm waving space with my camera, I didn’t want to anger them anymore. I really should have brought some ear plugs because the minute those lights went low, the fog emerged and intro began, the fans went off the charts on the sound levels. Regardless of how loud they were during the intro, the moment the band hit the stage it was over, my ears deafened. They were the loudest crowd this year so far and absolutely thrilled to be there! I could barely hear the band at times but its not like that mattered because the fans sang the songs for them, I even saw the classic hand hearts waving in the air. 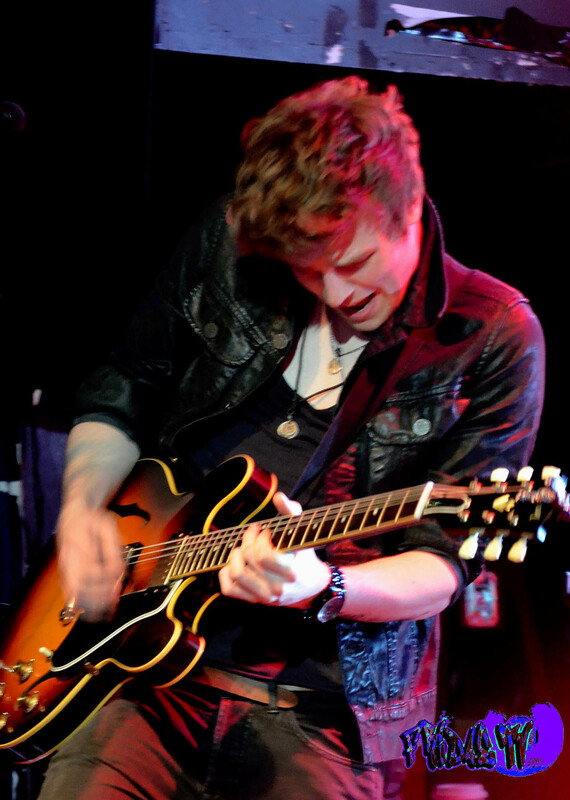 The band played about fifteen tracks, the first one being a song called “Learn To Love Again” which is their fourth single in the UK off of their début record “Chapman Square” released in October of last year. The tune is a mid-tempo track that has a catchy chorus, in fact most of the songs they played were memorable enough for me to figure out the titles. 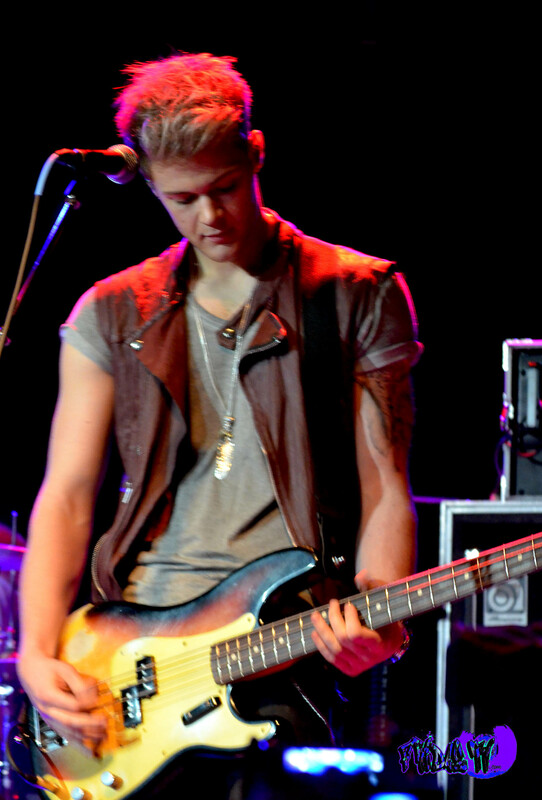 Lawson is: Andy Brown – Vox/Guitar, Joel Peat – Axe/Backup vocals, Ryan Fletcher – Bass/ Backup Vocals, Adam Pitts – Drums. They put on a commendable performance, vocals were impressive he just needs to work on breathing other than that Brown has a great tone with plenty of range that allows him to pull off many tunes. They mixed in a few covers like Maroon 5’s “Move Like Jagger” where Brown introduced the whole band. 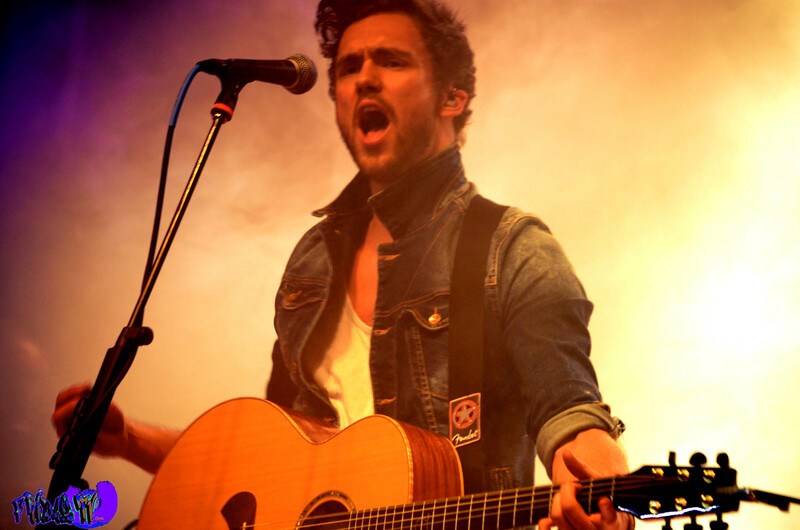 The tune was sung well, this gave Brown a chance to put down his guitar and interact with the fans freely. My ears were liking Brown’s voice more than the original because he didn’t have that annoying nasal sound Adam Levine has in his voice when singing. They also threw in Call Me Maybe (I hate that song), The A Team, Teenage Dream and Adele’s Hometown Glory to close the set. 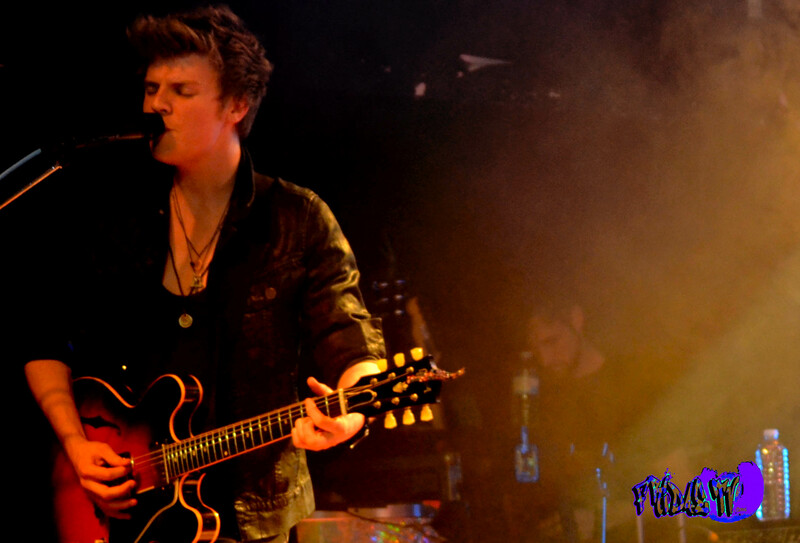 The rest of the band did well playing their instruments but they could move around a bit more especially Joel Peat, he was the shyest most nervous guitarist I have seen in a while, Bassist Ryan Fletcher was out performing him like he was the lead guitarist. When Peat got into the music that is when you saw the passion but he needs to relax and get comfortable to work the crowd and stage seamlessly. 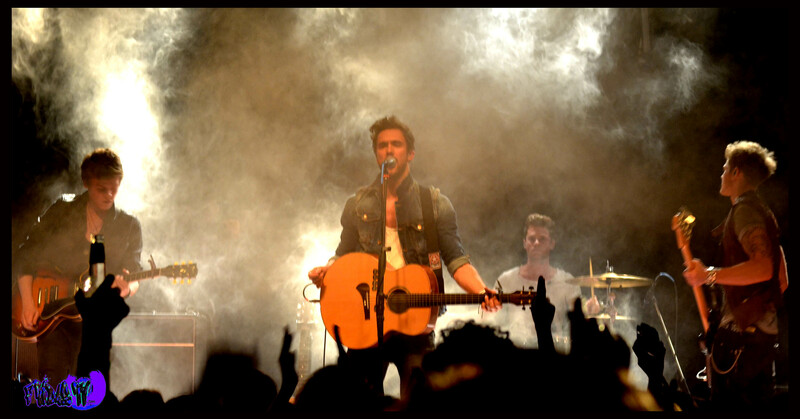 Fletcher could do with a little more migration and cohesiveness with the band otherwise he looked more comfortable on stage than Peat. 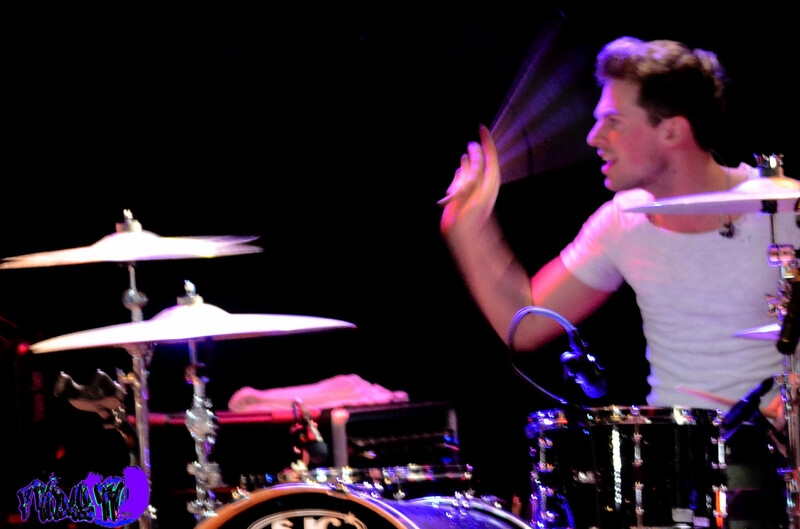 At one point during the set Adam Pitts stepped out from behind the drum kit and sang a little. Pitts kept the beat tight consistently throughout the set and his voice isn’t so bad either. I always try my best to get shots of all the band members but the drummer is almost always the hardest to shoot and this set was no different. Shooting from the crowd has its many obstacles but I managed. I need to see this band again live when I have a little more familiarity with the music. From what I can recall the songs that stood out other than the opening track were “Taking Over Me”, “Stolen” and “Standing In The Dark”. I hope those are right, I guess I’ll have a few correction comments if they are not. Boys with accents who play instuments and sing are always a weakness for most females even in their forties (I saw a few cougars lingering). 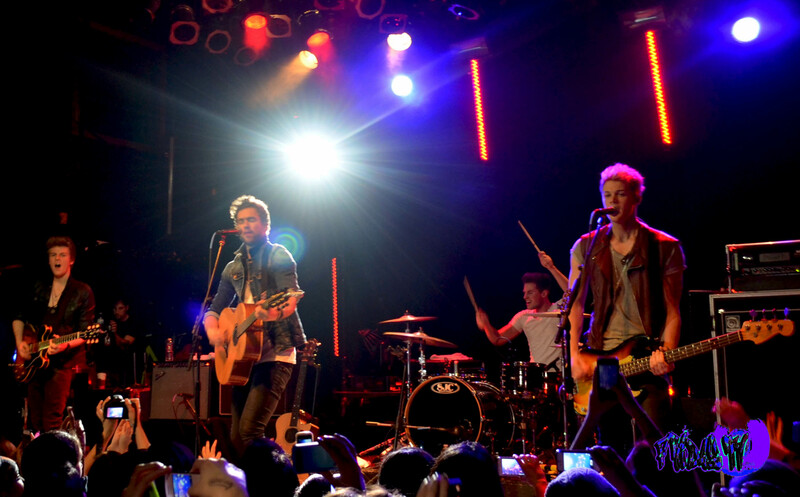 The whole British Musician combo is most definitely working for Lawson with the Canadian girls! If this band ends up in your neighbourhood go check the lads out, I’m sure the rest of the world will catch up with Britains latest export soon enough.